The Omaha Fire Department welcomes 27 new recruits. OMAHA, Neb. 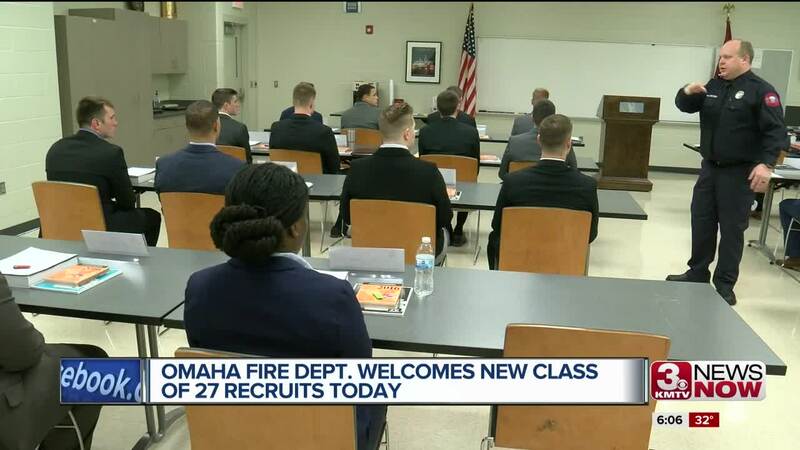 (KMTV) — The Omaha Fire Department welcome in 27 new recruits on Monday, making their first day of a 12 week class at the training academy. After wrapping up the training session, recruits will then move into fire stations around the city to learn on the job and see how to function as a part of the crew. "Once they're through our academy they hit the streets, and they're ready to serve the citizens of Omaha through any, you name it, they'll do it," Omaha Fire Department Batallion Chief Coby Werner said. "Fires, medical runs, confined space, water rescues, they're ready to serve the citizens of Omaha." The recruits will be tested academically, mentally and physically in preparation of doing field calls in the future. There are three women in the class. Currently, the department has 25 women out of 650 firefighters.